I'm not the biggest fan of getting dressed up for Halloween for a few reasons. likes to be appropriately dressed for everything. an excuse to let out their inner stripper. I once donned over a heavy coat that it was definitely not cold enough for. that he couldn't move his arms. Thanks, Mom. a black ruffled Betsey Johnson dress and went as Gossip Girl's Blair Waldorf. with goggles and a cream colored scarf. The 1920s is one of my favorite time periods. but haven't found the one I'm looking for. Isn't this Parker dress lovely and perfect for dressing as a flapper? I'm sure that I will run into lots of Katniss Everdeens this Halloween. 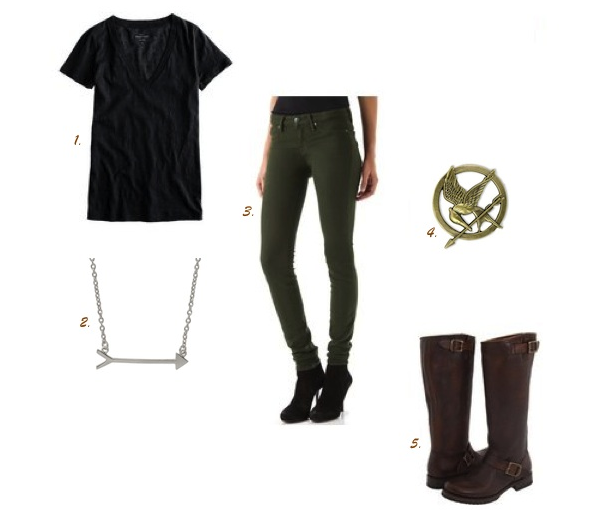 brown boots, a mockingjay pin, and a braid in your hair. not be welcome depending on where you're going. Hahaha i agree with point no 2! And i love that dress on ur blog. It's pretty!